YouTube is world famous for its high-quality content. It is a platform with tremendous traffic these days. It is one of the largest video sharing sites today. But today we are here not only to discuss how to get YouTube video views but also to maximize YouTube views organically. Many marketers and bloggers have been using the YouTube channel to generate a lot of traffic for their sites. It is one of the leading internet marketing strategies for generating organic traffic. But, how to increase video views? How to get maximum subscribers on YouTube? Any tricks to increase video views that work fast? How to increase YouTube traffic? How to promote your YouTube video? How to boost YouTube video traffic? Is it better to buy YouTube views? How to drive free YouTube views? Where to post youtube videos to get more views? How to get free YouTube views, likes, subscribers, comments fast? Well, to bring more traffic to your YouTube content it is necessary to design, create & publish high-quality content. Videos that has the content of high-quality & engaging stuff are viewed more as compared to the normal or low-quality videos. Also, it should provide helpful tips as well as the bits of advice to the viewers. There are much more YouTube channel ideas things to be considered to generate more views through your existing YouTube channel. 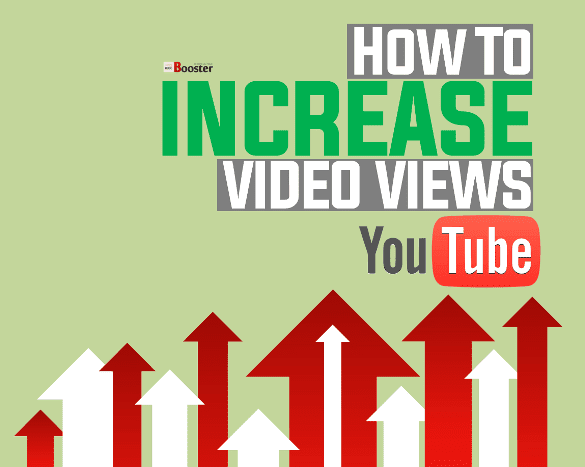 Here are some important points & tips you should consider to increase views on YouTube. The videos you upload should nestle all the great qualities listed below. No doubt, with these tips you will experience positive results in no time. So, let us start with some useful tips to maximize YouTube views and to pull more traffic as a blogger and for your brand. In previous post, we have seen 12 Strategies To Get Tons of FREE SUBSCRIBERS on YouTube Fast and today we are talking about how to maximize YouTube video views and to earn more money with YouTube channel. If you follow these quick tips outlined below, you can quickly build YouTube channel’s reputation. With this, you can easily promote new videos. This will help you to have organic reach for your YouTube video in search results. Ultimately, you can experience more and more YouTube views for your videos. It is essential to building up your YouTube channel as an authority channel on your subject to establish you as a brand. Initially, you need to complete your channel profile i.e. your profile information along with a relative profile photo. Again, you need a channel trailer that can explain visitor about your brand and your services. Give a quick demonstration & short description of yourself, your business and your channel contents. This helps you to build your YouTube reputation that people will love to subscribe. Just like its required for the written content that we include high paying and traffic driving keywords, the YouTube content also needs right keywords for every video you upload. With the proper keyword optimization, you can improve not only YouTube organic reach but also the channel authority and so the subscribers. Just note that the keywords help to rank the page well in search results. Try to use best tags for YouTube to get views more and fast. An optimizing YouTube video is a very important step you can do before & after the videos are uploaded to YouTube. Here you need to use the targeted keywords & phrase in the filename of the video. Then add some more information about the video to the video file. For this, just right-click on the video file and then add extra details. This will help your video get optimized right from the beginning. Once you upload the video, again you need to use the same tags and keywords on YouTube for better video optimization. You can use the YouTube’s interface to add tags. Here you can add every kind of information, description, tags, title, etc. along with targeted keywords. Such optimization will definitely help you to promote your videos on YouTube and to get maximum views. The playlist is a pack of all your videos of the same subject. You used to create playlists for all your videos you uploaded. This will help you to display all the videos in an organized way and also encourage your viewers to click more on your related videos, and ultimately you get more YouTube videos views. The annotations are the customized clickable text overlays which adds the information along with the video. This adds extra value to the viewing experience. There are different types of annotations such as in-video programming annotation, spotlight annotation, etc. Annotation helps you to drag more attention towards other uploaded videos from the same viewer. Usually, you can see these annotations on the bottom of the video where you can place the links to the related video. This annotation helps you to boost your video view dramatically. You choose the best subject and shoot the best video. But just having a quality video is not enough. If you want to get higher ratings and more views fast, you need to promote your content. The user will not able to see your videos accidentally; you need to take some efforts to bring them on your channel. For this, you can share your videos through your blog posts, mailing list, message your subscribers with your YouTube link, etc. You can link your video to other websites or the blog posts related to your video topic. You can also promote your video on Facebook, Twitter, etc. to maximize YouTube views. In addition to this, you can share your own reviews on trending topics to multiply your overall viewership for your special YouTube videos. The thumbnails are the most important thing that helps to drive viewer's attention quickly. Use exciting and interesting thumbnails to get increased views on YouTube. Note that the thumbnail images are appeared on the Google’s search result and thereby offer added benefits to get more and more video views on YouTube. These eye-catching images easily draw the attention of the visitor and force him to click on your video. You can make additional edits to your videos with mobile-friendly annotations and cards. The annotation and cards add interactivity to your videos. The interactive cards are like annotations that allow the publishers to add external links & images in addition to information that works across both desktop and mobile. This helps you to enrich the video experience and thereby maximized views. The time spends on a particular video by a single user is referred as a watch time. Having longer watch time for your YouTube videos are important. The longer watch time videos are of high value than higher views. It is always recommended to update the YouTube profile and channel contents frequently. Upload new videos, fresh content, update profile, optimized description, etc. This will make more and more people subscribe to your channel. And more subscribers means more video views. You can add branded watermark to all the videos you upload to improve online branding. People loves branding and want to stick with. Adding watermark help you to get more views to all your videos along with the latest videos. One of the ideal ways to maximize YouTube views is to offer giveaways, discounts or place contests that award free gifts for your subscribers. You can arrange for campaigns, with this, you can make a call to all your audience to share and subscribe your channel, so ultimately you are able to reach to the new audience and can experience increased views. BONUS: Measuring the results of all your YouTube activities Once you finish uploading, optimizing, promoting, & sharing the videos, be sure to measure & analyze the result of all your YouTube activities. For this, you can install TubeBuddy - Best Toolkit To Grow & Manage YouTube. This extension provides a detailed analysis of the video. Accordingly, you can plan for more optimization of the videos. Building a good reputation for your brand is really important for any publisher. Also, it is necessary to reach more and more audience and make them your permanent subscribers. With several online marketing techniques, you can promote your brand; no doubt, the YouTube offers a great platform to showcase your products. The only thing you require to get more and maximize YouTube views.